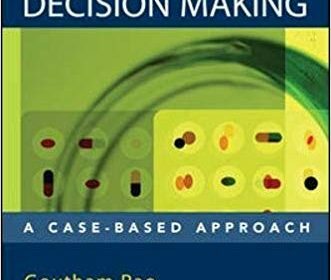 Rational Medical Decision Making: A Case-Based Approach is a hands-on text that clarifies the process of evidence-based medical decision making like no other source. 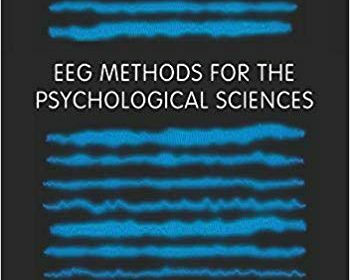 The analytic methods covered include event-related brain potentials (ERPs), spectral asymmetry, and time-frequency analyses. A conceptual background and review of domain-specific applications of the method is provided for each type of analysis. There′s also comprehensive guided analysis for each analytic method that includes tutorial-style instruction and sample datasets. This book clearly demonstrates how to best make medical decisions while incorporating clinical practice guidelines and decision support systems for electronic medical record systems. New to this edition is how medical decision making ideas are being incorporated into clinical decision support systems in electronic medical records and also how they are being used to shape practice guidelines and policies. Prepare for PANCE or PANRE with the most trusted review tool! 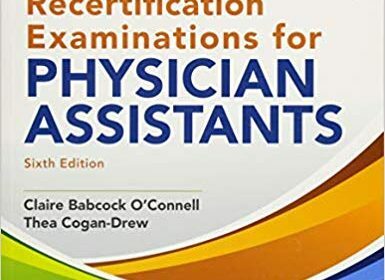 Developed and endorsed by the American Academy of PAs (AAPA) and the Physician Assistant Education Association (PAEA), A Comprehensive Review for the Certification and Recertification Examinations for Physician Assistants offers you dependable assistance in mastering the core information you need to know to pass the Physician Assistant National Certifying Exam (PANCE) or the Physician Assistant National Recertifying Exam (PANRE). Make sure your knowledge is current through meticulous updates reflecting the latest developments, validated for accuracy by respected subject matter experts. Study efficiently by reviewing high-yield, outline-format summaries of all essential concepts. Test your knowledge with hundreds of review questions based on the blueprint of the National Commission on Certification of Physician Assistants (NCCPA), along with explanations of the correct answers. Get even more preparation and experience with additional review questions and answers on thePoint, as well as access to a self-assessment CME post-test on AAPA Learning Central. 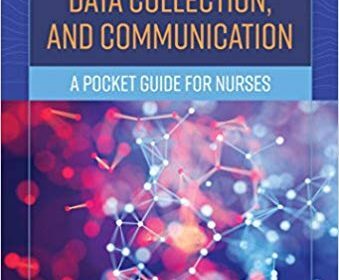 This book seeks to promote the exploitation of data science in healthcare systems. The focus is on advancing the automated analytical methods used to extract new knowledge from data for healthcare applications. 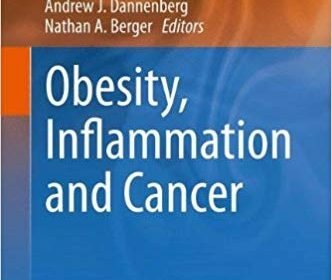 To do so, the book draws on several interrelated disciplines, including machine learning, big data analytics, statistics, pattern recognition, computer vision, and Semantic Web technologies, and focuses on their direct application to healthcare. 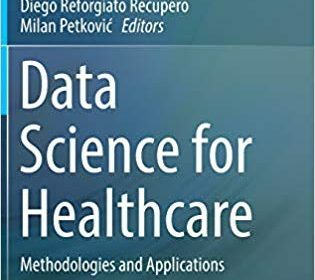 Building on three tutorial-like chapters on data science in healthcare, the following eleven chapters highlight success stories on the application of data science in healthcare, where data science and artificial intelligence technologies have proven to be very promising. This book is primarily intended for data scientists involved in the healthcare or medical sector. By reading this book, they will gain essential insights into the modern data science technologies needed to advance innovation for both healthcare businesses and patients. 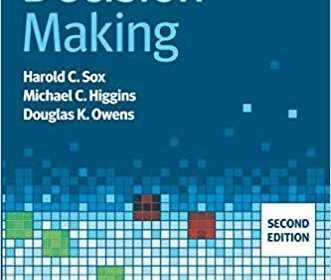 A basic grasp of data science is recommended in order to fully benefit from this book. 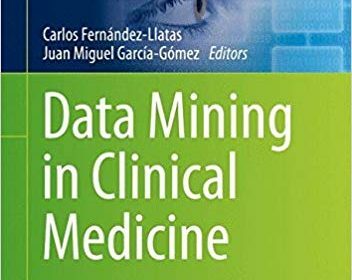 Authoritative and practical, Data Mining in Clinical Medicine seeks to aid scientists with new approaches and trends in the field. 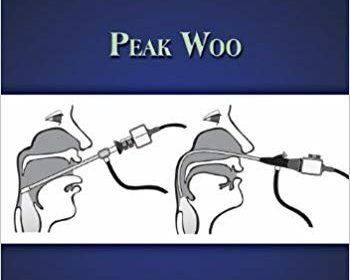 This book presents a complete picture of the art and science of stroboscopy. It includes not only comprehensive coverage of the imaging process, but also the disease process that exists in benign lesions, cancer, and neuropathology. 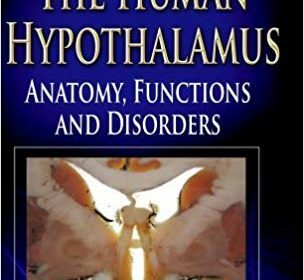 Comparisons of normal images with pathologies are included to enhance readers diagnostic skills, and the use of stroboscopic images before and after therapy to determine results enhances their clinical skills.